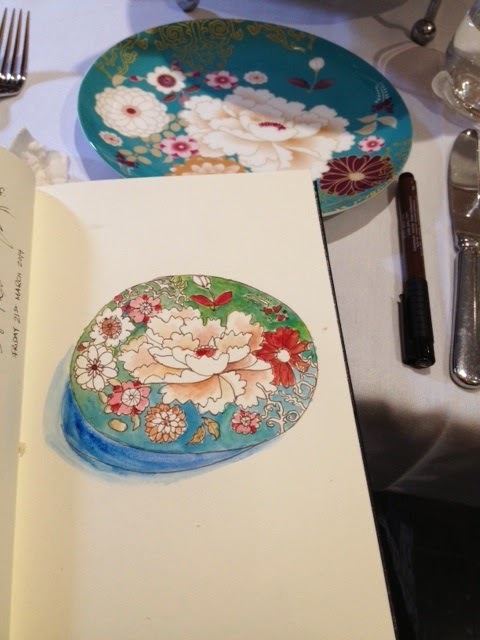 High Tea in a hotel restaurant is one of the most fun places to sketch on location. 1. The variety of finger food means you get a choice about what to draw. Traditionally there are three layers. The first is sandwiches, the middle layer holds scones and pastries and the top layer displays beautiful, dainty and often colourful sweets. Lots to draw! 2. You're expected to stay for hours. High Tea is to be enjoyed at a leisurely pace and no one is going to rush you out of your seat. Granted, we stayed longer than most tables! But no one seemed to mind. 4. You get to eat the subject. And drawing it first means the delayed gratification makes it all the more delicious! 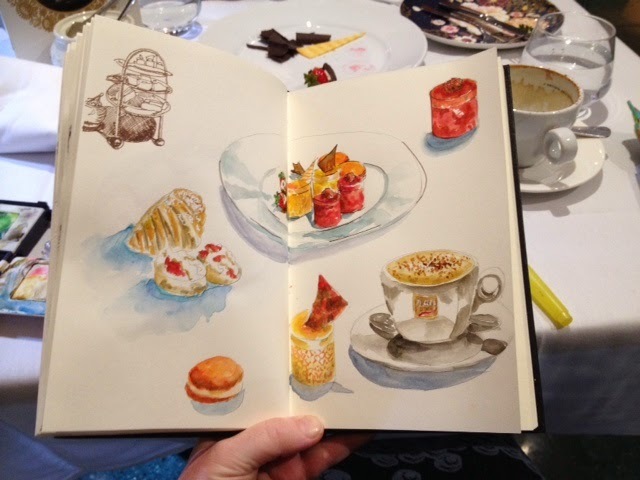 Thanks to my Mum for this birthday treat...which is fast turning into a yearly tradition of enjoying afternoon tea and sketching together!